Viceroy has proven himself at city mid-week company and today Luke asked him to step up to city Saturday class and he certainly handled the extra pressure very well. Because of the heat in Sydney, the meeting was transferred from Warwick Farm to Randwick, which pleased Luke as he believed the open space at Randwick would suit Viceroy. Drawn barrier 3, Viceroy jumped well and settled second behind the leader. 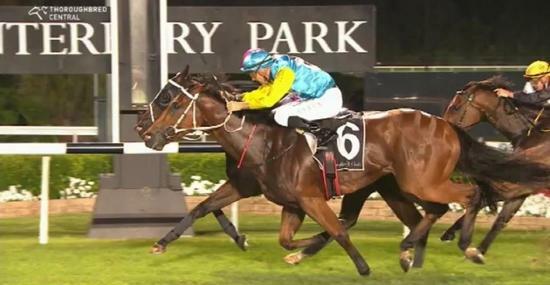 He made good ground approaching the turn, but unfortunately the leader compounded quickly (and finished last) and jockey Tye Angland had no option but to let Viceroy stride at the 300 metre mark and he kicked about a length in front. However, this left Viceroy vulnerable to swoopers and the favourite, Fortensky, had the last run at him. After a short tussle, Fortensky put his head in front and beat Viceroy by about a long-head on the line. They broke 70 seconds for the 1,200 metres, so the race was run at a good pace. Luke was very pleased with the run and it certainly showed that Viceroy is not out of place in metropolitan company.